Recently this cool map (below left) by Swedish artist Nikolaj Cyon has popped up in a few places, including Strange Maps and Africa is a Country. It shows one imaginative rendering of what Africa might look like today had the continent never been colonized by Europeans. Now I'm still hoping at some point to commission a definitive guest post about Ottoman maps of Africa from someone who knows more about them, but with Cyon's map making the rounds I thought it was only fair to share different set of imaginative cartographies addressing the same subject. Here is a distinctly non-European vision of how the political map of Africa should have looked if European imperialism had just been kept in check: behold Afrika-i Osmaniye. Quite a few of the maps in Ottoman atlases from the late 19th and early 20th century boldly claim a large swath of Northeast Africa for the Ottoman Empire. 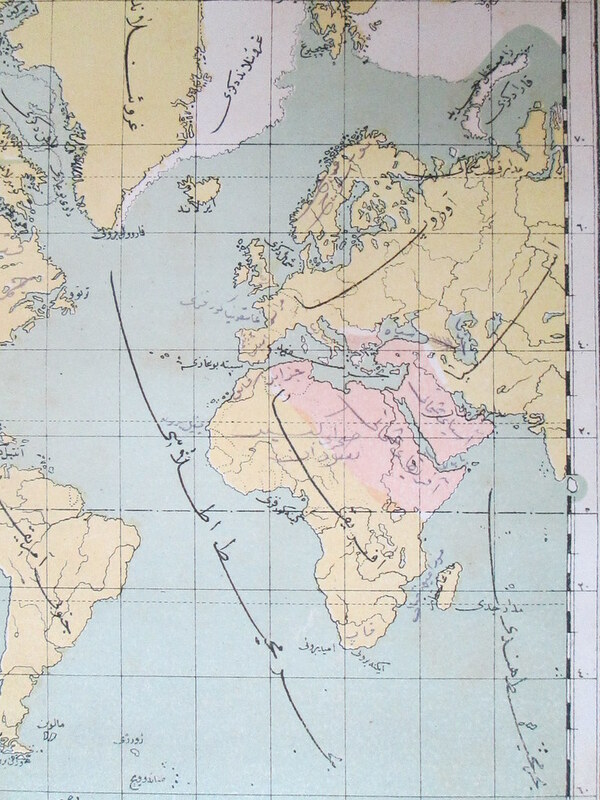 In addition to preserving the fiction of Ottoman sovereignty over the Barbary Coast, Egypt and by extension Sudan long after these regions had been effectively taken over by England and France, these maps extend Ottoman claims to Somalia, Uganda and Kenya. Only Ethiopia, presumably since it had its own distinctly independent, definitively non-Muslim government, is excluded from this ambitious rendering of Ottoman Africa. Anyways, everyone should check out Mostafa Minawi's podcast on the Ottoman Scramble for Africa to find out more about the politics of the period. Suffice it to say, the Ottomans seem to have been a century or so ahead of Nikolaj Cyon in imagining what Africa would have looked like without European colonization, and it looked an awful lot like Ottoman colonization. To be fair, these were Ottoman maps very clearly drawn in response to the Ottoman experience of European imperialism, but I think the broader point holds. What's striking about Cyon's map is that it quite openly reflects the legacy of Arab and Islamic influence in Africa. 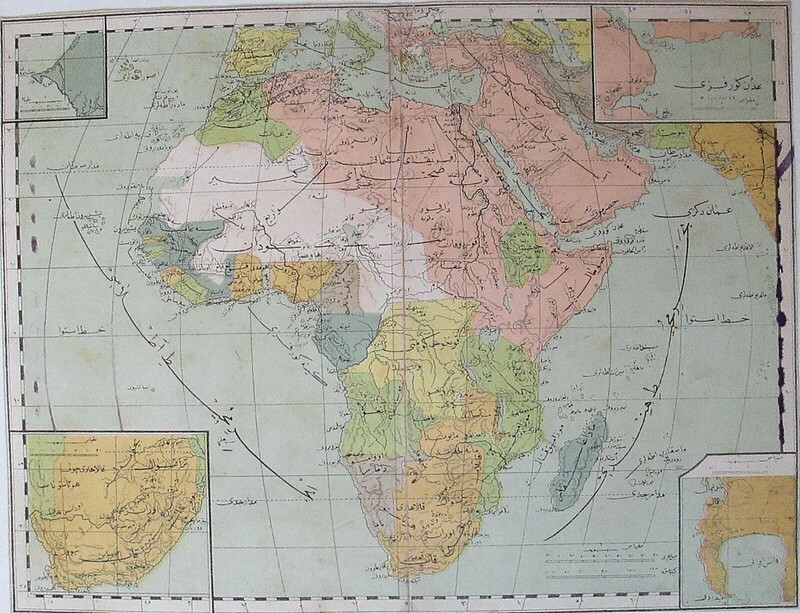 It seems entirely plausible that if we really tried to imagine an alternative history without Europe, Cyon's map would become a representation of Middle Eastern imperialism in Africa, and we would actually need some Saudi Cyon to come along and draw an imaginative cartography of how Africa might have looked free from that legacy.